Whether you're buying a property, or changing your finance on an existing property, we can provide advice about the best mortgages for you – saving you time and money. If you’re a first time buyer we’ll explain everything to you, and help you with all the paperwork, so you don’t need to worry. You can talk with us, we know the whole market and will find you a mortgage that’s a perfect fit for you. Let our experienced Advisers research the whole market to find the best deal for you, our search includes many deals you won't find on the high street or through comparison sites, we will then help arrange your re-mortgage and help you through the complete transfer. 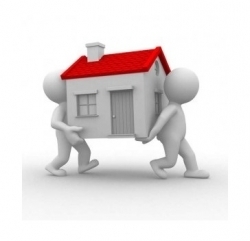 Moving house can be stressful, whether you are moving to a larger property or downsizing. We can help reduce the stress for you, by making sure you are financial organised with your new mortgage in place and ready to go when you’re ready to move. Owning a second property, or a portfolio of properties, can be an attractive option and a sound investment, whether you're new to the Buy to Let market, or an experienced landlord, we can help by providing the best investment mortgages available. Being based in the Highlands we have lots of experience helping couples build their dream home, whether doing the work yourself, using contractors or a building firm – we can help you with the finances through out your project. Advice on property finance from the whole of the market contact us today on 01397 705519 or 0778 940 5930.